Welcome to my CCS site full version! Welcome to A silly_moogle CCS site. If you want to save my images, go ahead. 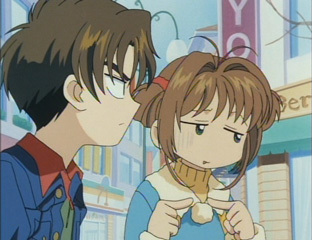 I want to share my images with other CCS/CC fans. You can even use images from my site without my permission, as long as the files you use on your site are on your site, with the exception of the Battle Costume/Panoramic Picture section. I just have a problem when people are using my site's web account's resources. So be sure you have the files uploaded to your site and everything will be fine. I'll try working on this splash page a little more when time permits. Otherwise, just sit back and enjoy my site. I've decided to reorganize this site. Certain factors have motivated me to finally redo this site. I'm removing my hit counters from this site and adding an affiliate. And since I have to change every page anyways, I'll remove the links of the missing macro images. Episodes 17 and above have both mini and macro images though. If you wish to use or host the macro files, feel free to e-mail me for which ones. Eventually, I'll get a request board up for this. I thought about having a rotating image archive, but that would be a lot of extra work that I can't afford to do right now, with my Senior project in progress. What is it? A game and I have to create everything from Classes to the graphics to conseptual art to audio elements.